Bali Surf Tours – Bali surf tour guide – Bali surf lessons – Bali surf accommodation – Surfing guide Bali – Bali private surfing lessons – Bali surf trip – Bali tour guide – Bali sightseeing tours guide – Bali surfing coach – Bali surf instructor – Bali private surf guide – Bali surfing information – Surf coach Bali – Bali surf map – Bali surf holidays – Canggu surf lesson – Seminyak surf lesson – Balangan surf lesson – Kuta surf lesson – Bali surf adventure – Bali surf expedition – Private surf lesson Bali. Born and raised on Bali, it’s about living in trust with nature and respecting all life in the world. 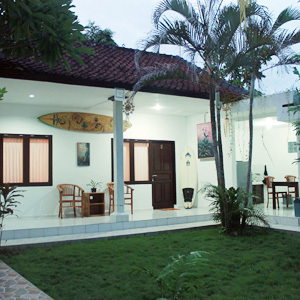 Bali is one of the best surfing destinations in the world for both beginners and the experienced. While surfing some of the world’s finest waves it has always been a great experience to make friends with people from many different countries. Being in harmony with nature and in perfect balance with the elements has become a lifestyle and a philosophy. To me surfing has been a path to learn essential lessons about our existence and find true meaning in life. With more than 20 years experience as a surf tours guide, surf coaches and sightseeing tours guide, we can pick you up from anywhere on the island. With our intimate knowledge of the island, we can organize special packages and itineraries based on your particular interests and needs. We are very flexible and extremely punctual.